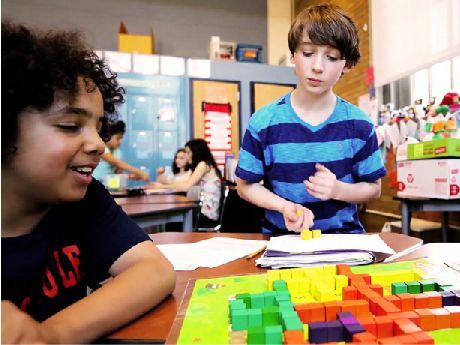 To successfully introduce games into your classroom, play them first, make them voluntary, and think of them as tools for differentiation and building classroom culture. Some educators are nervous about using games in the classroom or fully implementing all aspects of game-based learning (GBL). However, there are a few small, safe steps that all educators can and should consider to leverage the power of engagement that games can bring. Finding games isn't as difficult as it used to be. Sites like Educade provide game ideas, links, resources, and even lesson ideas. This is a great start, but educators should take some of the following next steps to feel even more confident and safe about using games in the classroom. When educators want to know if a game is appropriate for the classroom, they shouldn't just rely on someone telling them it's great, whether that someone is a company or even a colleague. To truly understand if the game will work with your curriculum or your intended goals for learning, you need to sit down and actually play the game. Spend the time to explore this software, app, or board game to your satisfaction. As you play, you can experience what students will experience and learn how to support them when they play. You'll develop an understanding of what can be learned from this game, whether it's content, thinking skills, or both. One of the best professional development experiences on games and GBL is to play a digital game like Civilization solo or a board game like Settlers of Catan with a group of friends. When you strip away the genre differences and the technological complexities, all games share four defining traits: a goal, rules, a feedback system, and voluntary participation. Voluntary participation means that players actively agree to the rules and procedures of the game, rather than having those forced upon them. When we are forced to do something, the work we do in games actually becomes less safe and less enjoyable. Consider offering games as a voluntary activity for true engagement. Not every student in your class needs to be playing the same game at the same time. In fact, games can be used as just another tool to differentiate. As teachers formatively assess their students, they may find that some students didn't quite get either the content knowledge or 21st century skill they were focusing on. Also, educators might find that some students are ready for a greater challenge. Educators can use games as a tool to support either revisiting the material or pushing students farther on new material. Not only do games help differentiate for students, but they also free up the teacher to meet the needs of more students. Even though many games are played individually, playing games together can be a great way to build classroom culture. When paired with other culture-building activities, games can provide low-stakes, competitive ways to build collaboration skills. In fact, games that involve teams can help support the principles of "helping each other out" and sharing. Some games, like Pandemic, require that all players work together toward the same goal instead of working competitively. Collaboration is key in that game, so consider games like it for building classroom culture, and pair them with reflections and discussion to assess the learning. Remember, depending on the access to technology, teachers can pick both high-tech and low-tech games, or offer both. Educators can try all or some of these steps to use games in the classroom. It's important that we start small with implementation, and that we continually reflect on the learning and push ourselves to try new things for the sake of our students, their engagement, and their achievement. What games have you introduced in your classroom, and how did you make it happen? Please share in the comments below.